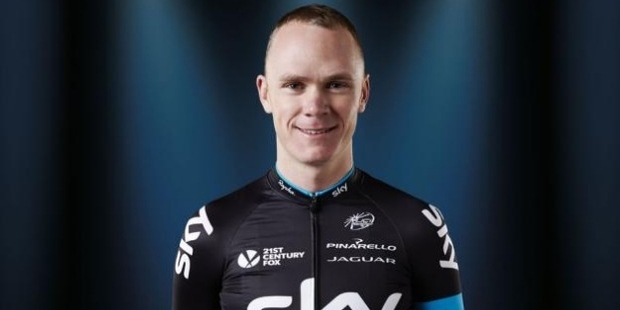 Christopher ‘Chris’ Froome is a renowned professional British racing cyclist who has competed for the Kenyan national team up until 2008. He is considered to one of the most distinguished stage-racing riders of recent times. 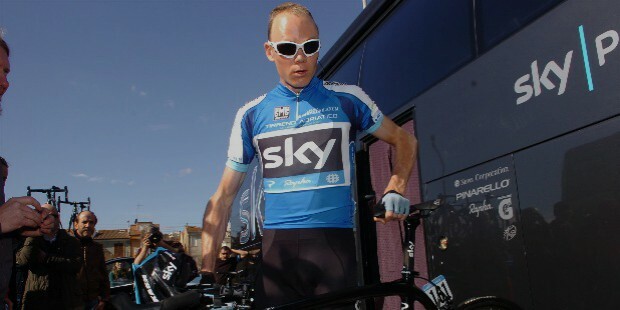 Christopher Clive Froome was born on the 20th of May in 1985 in Nairobi, the capital of Kenya. He was the youngest of the three children (all boys) to Clive and Jane Froome, his father being a former Under-19 hockey player from England. 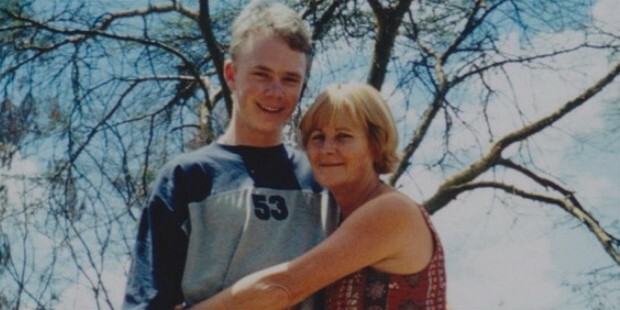 Chris’ parents moved to Kenya from Gloucestershire in England to own a crop farm. At the age of 13 years, Chris was taken by his mother to the first organized bicycle race, which he won eventually. It was here that he met professional cyclist, David Kinjah, who went on to become Chris’ mentor and training partner as well. Chris finished his primary schooling from the Banda School in Nairobi and later moved, at the age of 14 years, to South Africa and attended the St. Andrew’s School in Bloemfontein as well as the St. John’s College in Johannesburg. He went on to study economics at the University of Johannesburg for 2 years. It was in south Africa that Chris initially began to participate in road race cycling, and specialized as a climber for the South African team. Chris was noted by future Team Sky principal, Dave Brailsford, during the road time trial at the 2006 Commonwealth Games held in Melbourne. At the 2006 Road World Championships, Chris competed for his birth country of Kenya in the Under-23 category held in Austria. Due to a collision with an official right after the starting line, Chris came 36th in position in the race. In 2007, at the age of 22 years, Chris competed for the Konica Minolta, the South African team, and withdrew from university after only 2 years. In the same year, from April to September, Chris participated in the Union Cycliste Internationale’s World Cycling Centre (WCC) team from Switzerland for the Under-23 Nations Cup. While riding for WCC, Chris won the stage 5 in the Giro delle Regioni, his first stage race. He also won the stage 6 of the Tour of Japan. In June of 2007, Chris competed in the ‘B’ World Championships held in Cape Town, South Africa and won the 2nd place in the 26 km-long time trial. In July of the same year, Chris went on to win the bronze medal in the All-Africa Games road race event held in Algiers, Algeria. For the 2008 season, Chris signed up the 2nd-Tier British-South African team of Barloworld, a UCI Professional Continental Team. In March of 2008, Chris won the 2nd place in the Giro del Capo held in South Africa. In April and May, Chris rode the Criterium International, Ardennes Classics and the Gent-Wevelgem. Chris made his Grand Tour debut for the Tour de France, with the Barloworld squad. This also made him the first-ever participant from Kenya. He finished 84th in the overall ranking and 11th in the ‘young-rider’ classification. 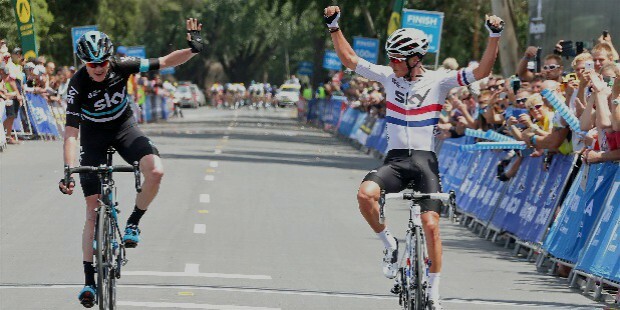 In October of 2008, Chris won the 4th place in the Herald Sun Tour held in Victoria, Australia. It was here that Chris was first noticed by Rod Ellingworth, the British national cycling coach. In 2009, Chris made his professional debut win when he won the 2nd stage of Giro del Capo held in Durbanville, South Africa. He also went on to participate in the Giro d’Italia, where he won the 36th position in the overall rankings as well as 7th in the ‘young-rider’ class. 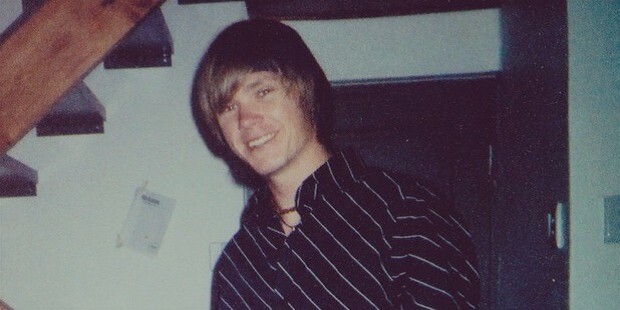 In July of the same year, Chris won the small one-day race, the Anatomic Jock Race, held in Barberton in South Africa. In September of the same year, Chris announced his decision to join Team Sky, the British cycling team for the next season. Although Chris participated in the 2010 Giro d’Italia he suffered a knee injury and was forced to withdraw from the race. His best race with Team Sky was when he came 9th in the Tour du Haut Var in the overall rankings. In the 2010 National Time Trial Championships, Chris came in the 2nd place. In October of the same year, Chris went on to represent England at the 2010 Commonwealth Games held in New Delhi, India. He came 5th in the 40 km-long time trial. In the 2011 Season, Chris managed to show his skill with top-15 positions in the Tour de Romandie and the Vuelta a Castilla y Leon. 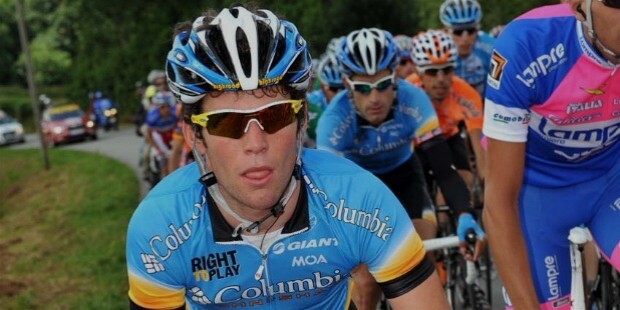 In the 2012 Season, Chris suffered from bouts of illness and had to withdraw from the Volta ao Algarve due to severe chest infection. 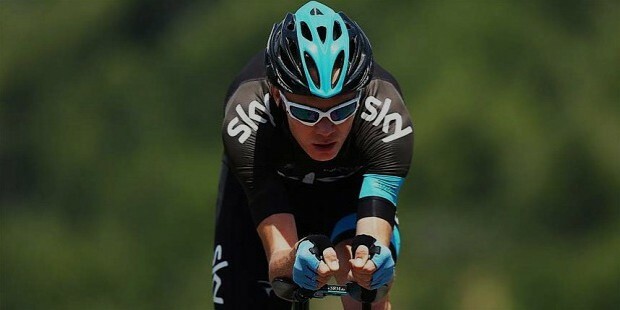 Chris was selected for Team Sky squad for the Tour de France and won the 11th place in the prologue. For his amazing performance Chris won the polka-dot jersey for a day. 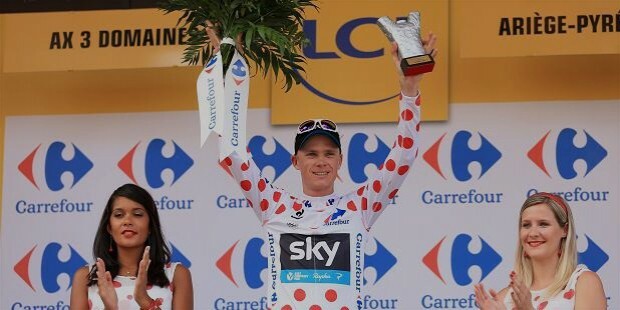 Chris finally won the 2nd place in the tour and became one of the two riders (after leader Wiggins) to take the podium in the history of the Tour de France. Chris was selected for the Olympic Games along with many of his other team mates. He also went on to participate in the time trials where he won the bronze medal. He was chosen as the leader of the Team Sky for the Vuelta a Espana, and came 4th in the overall rankings. In the 2013 Season, Chris started with the Tour of Oman and went on to win the race, his first stage race win in his entire career as well as winning the points classification. In March of the same year, Chris lead the Team Sky in the Tirreno-Adriatico and went on to win the 2nd place overall. In the 2013 Tour de France, Chris showed excellent form and won the general classification with final time of 83 hours, 51 minutes and 33 seconds, coming in at number 1. This also helped boost Chris to the top of the UCI World Tour rankings (587 points). In the 2014 Season, Chris defended his title beginning with the Tour of Oman and winning it. Although he missed the Tirreno-Adriatico he went on to the next stage race, the Tour de Romandie, and won the race by more than 28 seconds. In order to celebrate the shifting of the Tour de France from Britain to France in July of 2014, Chris rode through the Channel Tunnel which also made him the first solo rider to ever do so. He crossed the Tunnel at a constant speed of around 40 mph. Chris finished 2nd in the Tour de France final overall ranking. In 2015, Chris began the season with the Ruta del Sol in February, held in Spain. He went on to win the tour in a spectacular and unexpected uphill finish. He went on to take part in the Tour de Romandie ad finished 3rd in the overall rankings. In the 2015 Tour de France, Chris went on to win the tour and became the first British cyclist to do so since Eddy Merck in 1970. In the 2016 Tour de France, Chris won his 3rd consecutive title victory in the tour after finishing with a lead of 1 minute and 40 seconds. 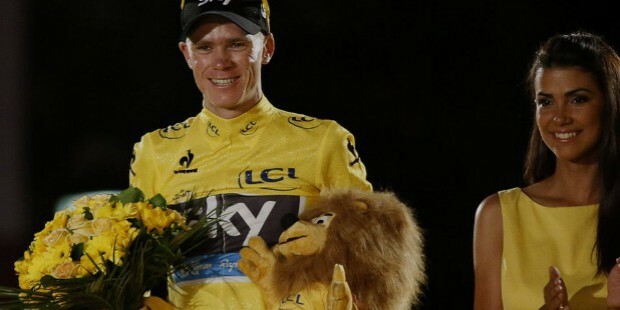 Chris Froome is considered to be by many one of the greatest cyclist of all times. He has been awarded for his achievements but his greatest acclaim is believed to be the prestigious Velo d’Or award for the best rider of the year 2013. 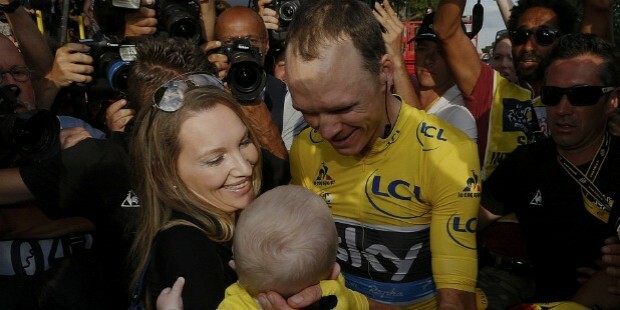 Chris Froome married Michelle Cound in November of 2014, after a more than 5-year courtship. The couple got their first child (a son), Kellan on the 14th of December in 2015. 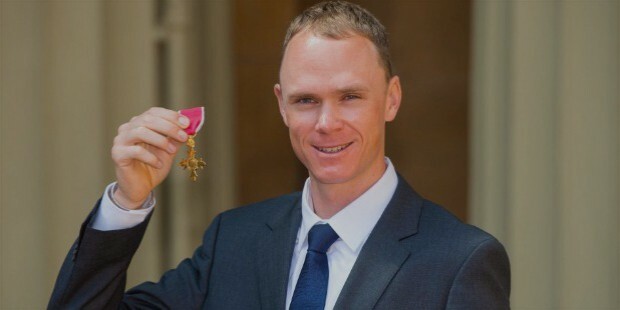 Chris Froome is also an Officer of the Order of the British Empire (OBE) since May 2016.